RST is a brand that excels in a specific area of the market. The gear is aimed to be extremely high quality equipment in the middle price range; and it fills that niche. 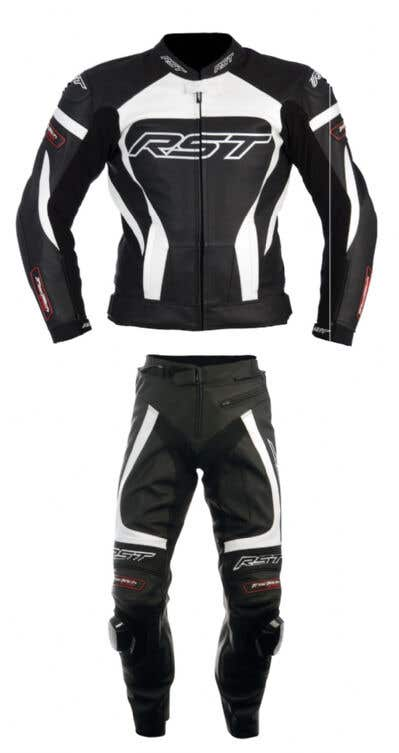 They sell leathers, textiles, gloves and boots including 2 piece leathers, Pro gear and road gear. RST pride themselves on a very unique point - that the quality of the materials and construction should not suffer because of the price. Therefore, even though they may have different features and purposes, RST's top end gear has the same quality materials used as the lower end, meaning that you get good gear for a great price and you know it won't fall apart after a bit of wear and tear like all equipment experiences. The products are always designed to be as comfortable as possible without lowering the amount of protection the product provides. RST produce a huge variety of leather and textile motorcycle equipment, ranging drastically in price without compromising the quality of construction or materials used. They also often come in a wide variety of colours and styles, and there will always be something in the RST range that suits you. RST mostly produce trousers that match their jackets, in terms of both style and functionality. This makes it very easy to completely equip yourself in their gear that is perfectly suited to your needs whilst remaining stylish and comfortable. 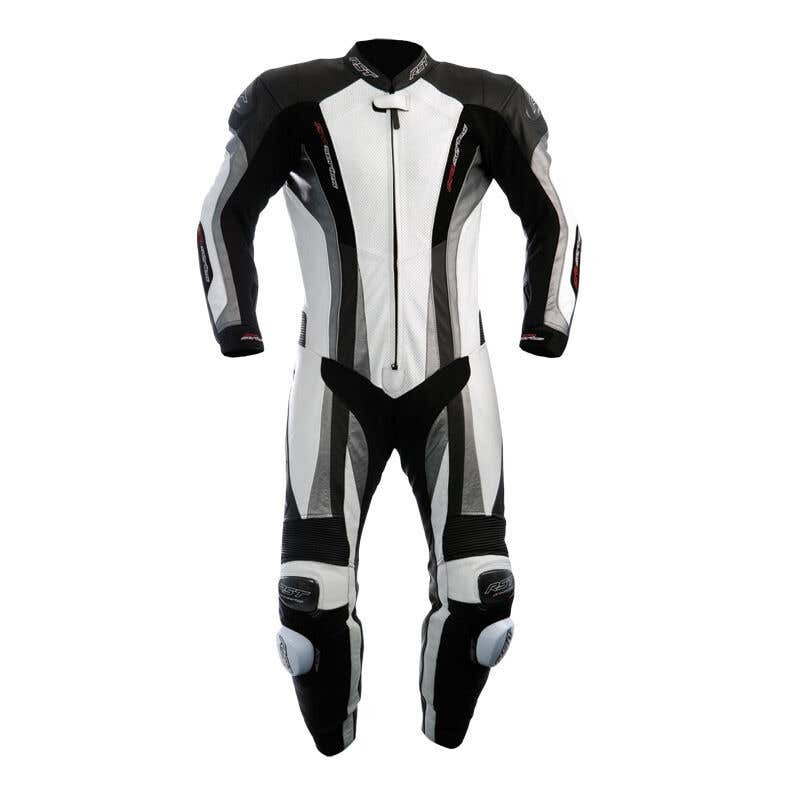 1 Piece suits from RST range from high to low pricing, and their low end suits are perfect for riders who want a suit but are on a budget - their construction is sound as are the materials that are used to make them. RST 2 piece suits are all manufactured using the same length joining zips on all sizes so that you can mix and match sizes and wear the jacket or trousers with any other bit of gear in the RST collection. Although small, the RST range is comprised of high quality but affordable boots. They are all designed to fulfil specific needs and excel at exactly that. The boots are made of comfortable high quality materials, and are shaped perfectly to fit your feet. RST provide a large range of gloves in a variety of colours and styles, even some gloves specifically designed for ladies. They produce leather and textile gloves in waterproof and non-waterproof versions, such as the ever popular Tractech Evo which comes in waterproof and non waterproof. RST is a brand that excels in the production of high quality equipment, whilst keeping the price range affordable and accessible. Their gear is designed in the UK, and they provide a variety of products including leathers, gloves, textiles, boots, and suits. RST pride themselves on offering riders with a unique price point, whilst reassuring that the overall quality of the goods is excellent. Because of this, RST are recognised as a top manufacturer of motorcycle gear and we're proud to offer their products at Bike Stop. RST Jackets - Choose from an impressive variety of leather and textile motorcycle jackets, across a range of price points, without compromising the quality of construction or materials used. 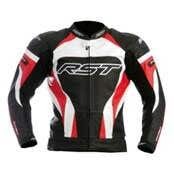 With so many different colours and styles available, there’s always a RST product perfect for you. RST Trousers - Pair up your new RST jacket with a matching pair of RST trousers, that delivers both superb style and great functionality. 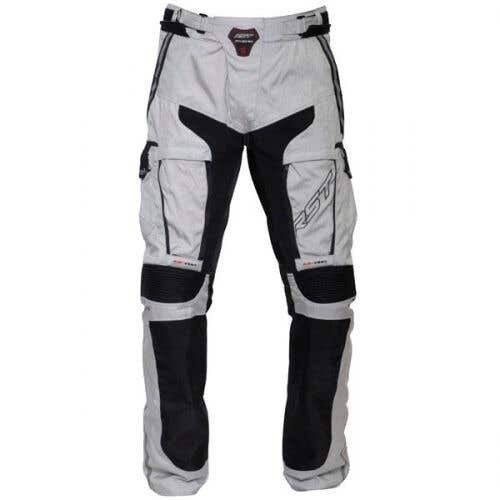 This way you can easily gear up in the motorcycle gear you need, whilst remaining stylish, comfortable, and safe in the knowledge that you’ve chosen reliable products. 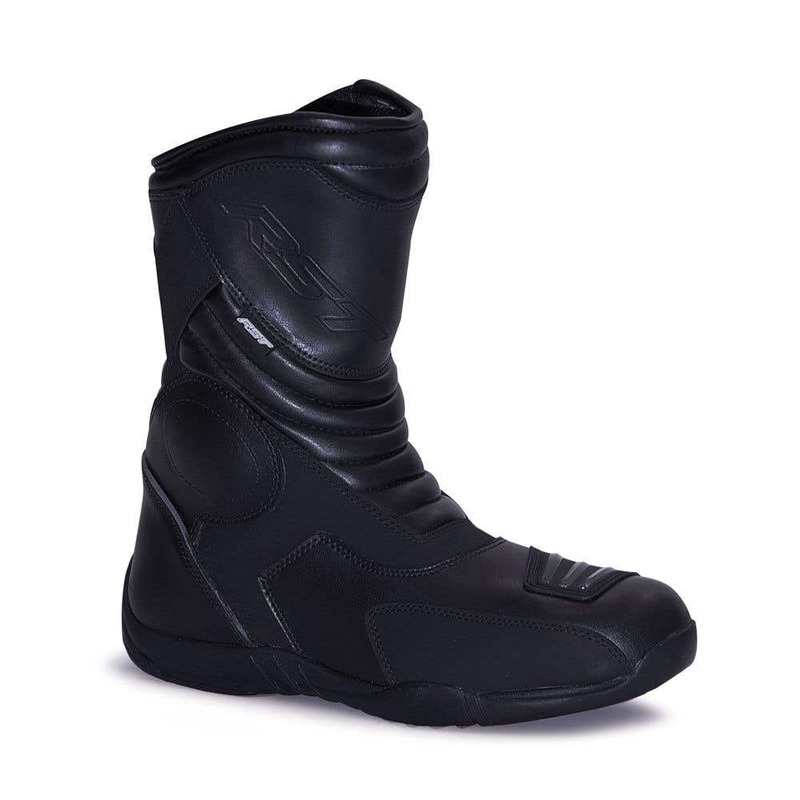 RST Boots - Looking for a high quality, yet affordable pair of motorcycle boots? Then the RST range is perfect for you. Made of comfortable, high quality materials and featuring perfect shapes for your feet, you can easily find the perfect fit for you. 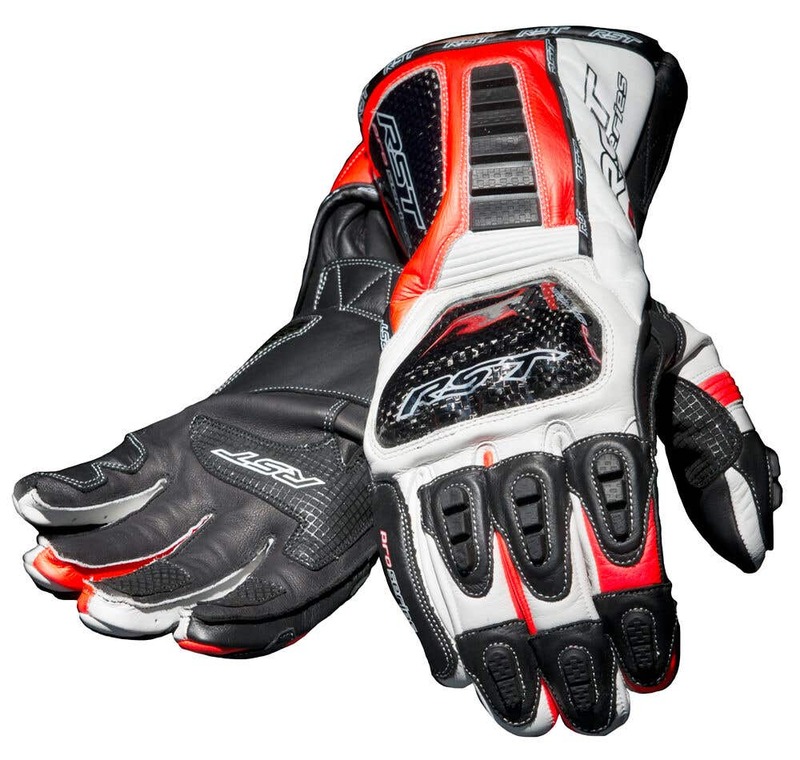 RST Gloves - Discover the amazing variety of RST motorcycle gloves available at Bike Stop and choose your favourite colours and styles now. This range also features gloves designed specifically for female riders, as well as waterproof versions. RST One Piece Suits - Find the perfect one piece suit for you with RST’s varied range which spans from low to high prices. The lower-end suits are a great choice for riders seeking a reliable suit made from durable materials, but are constrained by a limited budget. RST Two Piece Suits - Although called "suits", RST Two Piece Suits have the benefit of being able to mix and match jacket and trouser sizes or easily wearing part of your new RST Two Piece Suit with other pieces of gear, as all RST Two Piece Suits are manufacturered using the same length joining zips. Find your favourite now!